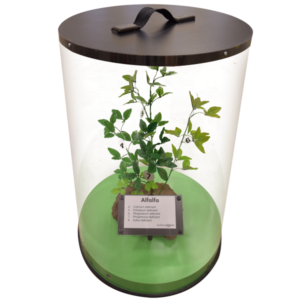 This portable interactive display explains the science behind GMOs. Five rotating boxes illustrate how DNA strands can be swapped out and rearranged to alter the genetic traits of corn. 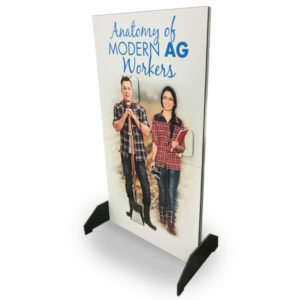 The display can be disassembled into smaller pieces, allowing for portability. 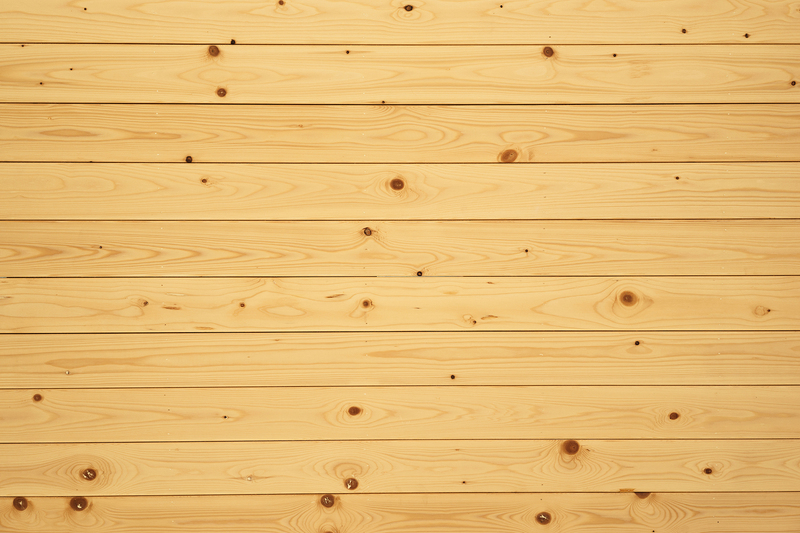 Birch ply core with formica laminate and adhesive vinyl. Aluminum tube frame. Measures at 40 by 72 inches. Removable stands are 23 inches long. Want to explain the truth about GMOs but aren’t sure how? It’s as easy as D-N-A. 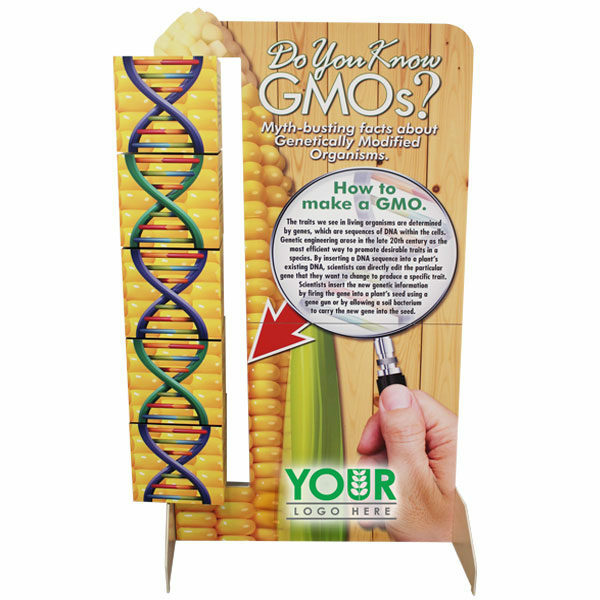 In this portable interactive display, informational text offers a general overview of the process involved in making genetically modified organisms and debunks some of the myths about GMOs. A large graphic of corn overlaid with a large cartoonish DNA strand connects the science of genetics with the idea of an actual GMO cash crop. 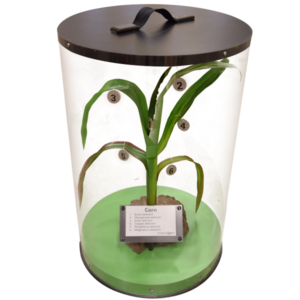 Five movable boxes show how DNA strands can be swapped out and rearranged to alter genetic traits of the corn. 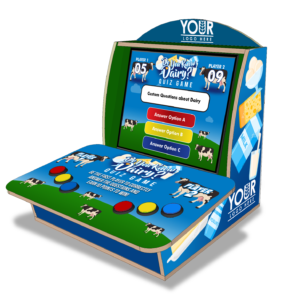 The display can be disassembled into smaller pieces, allowing for portability. Assembly is quick and easy. Assembly instructions included with product. 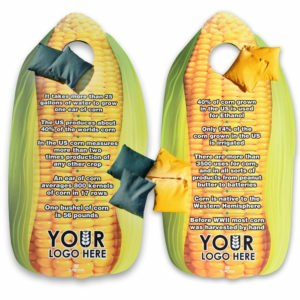 To read more about the “Do You Know GMOs?” display and other agricultural displays, visit our custom products page.